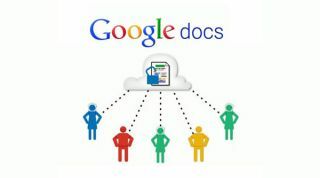 Google Docs is one of my favorite resources for myself, other teachers, and students. I use it constantly and when I share it with other teachers, friends, or my students, they are usually impressed and start using it too. There are tons of features and functions in Google Docs that make using it extremely useful and effective as an educational tool. The fact that it's free, online, and collaborative make it great for students. Word Processing, Presentations, Forms, Drawings, and Spreadsheets. Google keeps adding more features too. Richard Byrne has created an excellent Google Docs resource over at his blog, Free Technology for Teachers. It is a free ebook, in PDF form, that covers everything a teacher needs to know about Google Docs, from signing up, to creating, sharing, and publishing docs, to creating and using forms and even creating self-grading quizzes. This is a resource that should be shared with all teachers who use, or want to get started using, Google Docs. Google for Educators Resources - tips, using in education, resources, training, apps, and much more.